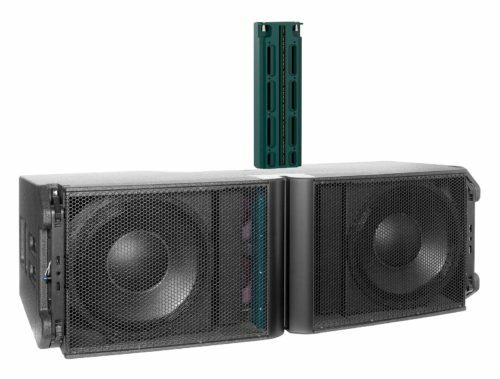 Previewed to a very positive response at ProLight+Sound in April, Alcons has launched the LR28/110 Wide Dispersion Larger Format Line Array – a three-way, line-source sound system for use as vertical array with extended horizontal coverage in up to the largest applications. The roots of the LR28 system go back to Alcons’ foundation in 2002 and the fledgling company’s aim of delivering the best possible sound reproduction in any application at any sound pressure level. The Alcons R&D team already had over 15 years experience in signal processing, amplifier technology and transducer development, with particular focus on pro-ribbon technology. As a manufacturer of its own mid/high transducers, the company literally had a blank sheet of paper from which to start its quest for the ‘holy grail’ of large format sound reinforcement systems. “Up to 90% lower distortion and a flat frequency response up to and beyond 20.000Hz at the highest concert sound pressure levels became a reality with the LR28.”, Philip ‘Dr Phil’ de Haan, Alcons co-founder and R&D chief. “A long time ambition was to see how far we could take our pro-ribbon transducer technology, in terms of sheer power output,” says Philip ‘Dr Phil’ de Haan, Alcons co-founder and R&D chief. By 2007 the company had a design study for a large scale, pro-ribbon sound reinforcement system and in 2010 development started in earnest on what would become the LR28. Alcons produced a 14” tall, single-diaphragm pro-ribbon transducer with 14” voice-coil. This was the multiple-patented RBN1402rsr, which is the mid/high heart of the LR28. Its super-fast impulse response, HF peak power handling of 3000W with RMS-to-peak ratio of 1:15 and all-natural cylindrical wavefront delivers a fully-predictable linear response, with ultra-low distortion and exceptionally precise pattern control. Introduced in 2015, the LR28/80 features an 80º horizontal dispersion pattern, but is identical to the new, wide-dispersion LR28/110 in all other aspects. Both models combine the highest sound quality possible with very high SPL capabilities and throw. It is a true ‘what you mix is what you get’ (WYMIWYG) solution, where the system literally doesn’t add anything to the original source; Input = output (but louder!). The RBN1402rsr and mid section (featuring four high-efficiency 6.5” midrange transducers) are jointly mounted on an aluminium cassette for optimised heat-dissipation/reduced power-compression and prolonged system output. The LF section comprises two reflex-loaded, custom 14” woofers with reinforced cone and large voice-coil Neodymium motor structure for improved heat dissipation and reduced power compression. “We could have made a three-block of LR18 compact mid-size line array units as an under-fill for the LR28, but we wanted to have a dedicated system to maintain the identical performance and array-coupling down to the lowest cabinet,” says Dr Phil. The LR28/80 and LR28/110 are powered and controlled by four channels of the Sentinel10 amplified loudspeaker controller; Through the integrated processing and feedback, the ALC offers LR28-specific drive processing with array compensation, filter-presets, system EQ, phase-matching and other facilities. The Signal Integrity Sensing™ pre-wiring of the LF and MF sections ensures dynamic cable/connector compensation between the LR28 and Sentinel, resulting in a fast, tight mid/bass response and reducing distortion even further. The unique, patent-pending rigging system enables angle setting on the cabinets without lifting the array, resulting in safer and faster set-up with minimal handling. The flying system facilitates two different ways of array assembling – caterpillar and pre-rig-style – with compressed and non-compressed suspension. It has a WLL of 24 cabinets under 10:1 safety. Sound engineers who have used the LR28 system have said that they can hear and do things with it that they can’t do with conventional systems, describing its exceptional clarity, dynamic headroom and throw as a ‘major step forward’ for large shows. These thoughts have been echoed by artists, promoters and rental companies. Thanks to its directional controllability, neighbours living close to festivals and arenas have also reacted more positively to events where it has been used. 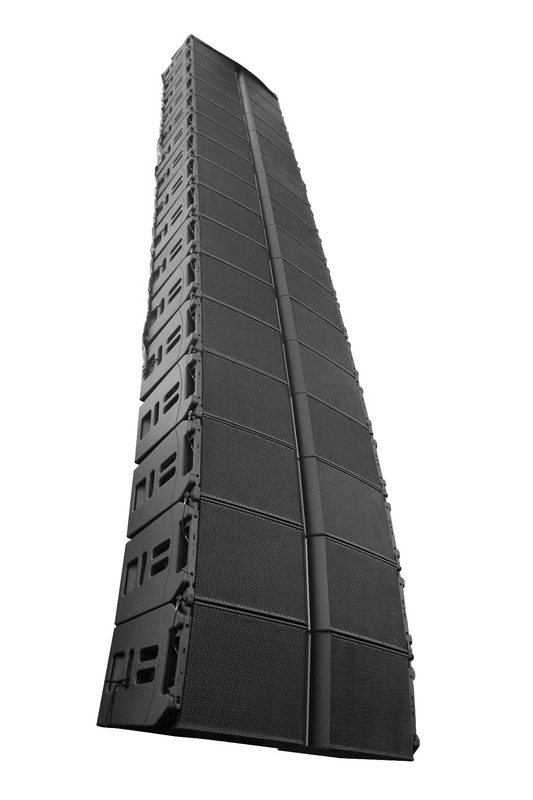 The LR28/110 is element of the Alcons application-configurable touring package, including the LR28 line-arrays, LB28 bass array- extension, BC543 cardioid subwoofer system, Sentinel amplified loudspeaker controller, ARC™ 3D-simulation tool and power / signal- distribution and transport logistics. The LR28 is part of “The Ribbon Network” inventory, Alcons’ global dry-hire and partner network and comes with a 6-years “no hassle” warranty. “Up to 90% lower distortion and a flat frequency response up to and beyond 20.000Hz at the highest concert sound pressure levels became a reality with the LR28. The LR28/110 module extends this capability, delivering enhanced coverage and even better audience experience,” Dr Phil concludes. More info on the LR28/110 product page, or on www.lr28.info and www.wymiwyg.info .